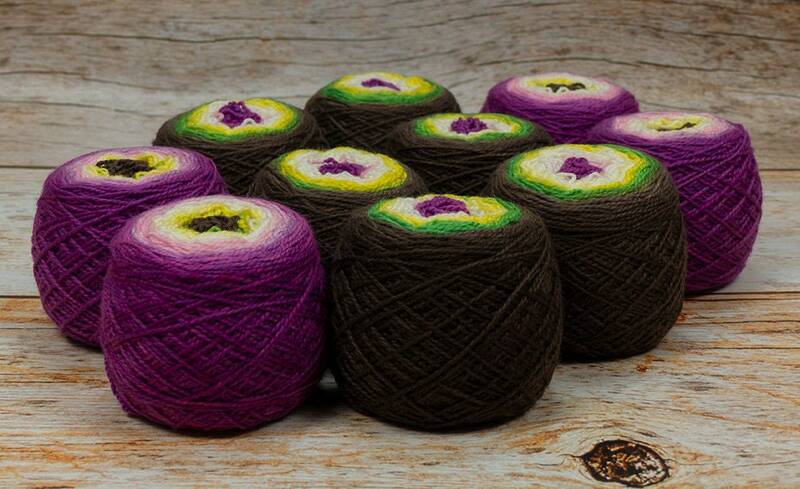 The combination of Superwash Merino/Nylon and tight ply of this yarn make it soft but durable! Pair with one of our 20g Wee skeins for longer socks with contrasting heels/toes/cuffs. Also great for gloves or fingerless mitts. Try holding double for a squishy DK weight cowl or hat! My Lleap line of gradient yarns are made from my own sock blanks and carefully handpainted with professional acid dyes in a semisolid gradient for depth and texture in your finished object. After seeing these at festivals for years, i finally bought it. I love it. Thank you.